Reading your aura will make you aware of issues pertaining to health, emotions and spirituality. It will bring notice and attention to what you need to work on to have a healthier aura. People in the holistic field believe that any illness is first reflected in the aura before it actually affects the physical body. A healthy aura is a sign of a physically fit body and a mentally sound mind. 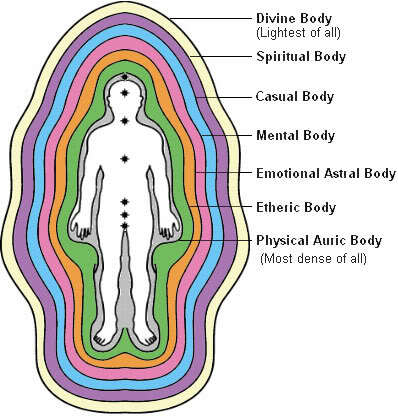 The better the aura, the more well is a person at the physical and mental level. Energy blockages or other issues will be seen in an aura and an aura reader is able to identify areas of concern in a person. People when tired, experiencing fatigue, stressed or sick will have a duller coloured aura than someone who is fresh, feeling happy or in good health. Auras reflect our inner state of mind. Aura readers can see a difference or the change taking place in an aura when someone is happy or someone is sad. With the change in emotion, changes in the colour seen in a person’s aura will also undergo changes. Sometimes, people can be made aware of certain imbalances lurking in the background. They may not be aware that they are leaning towards any energy blockages which can then lead to some physical challenges.